Tamper-Evident Security Bag Manufacturer specialising in STEBs and a range of Security products such as tapes, labels and seals for use in the airline industry. ProAmpac are a Tamper-Evident Security Bag Manufacturer based in Hertfordshire (UK). 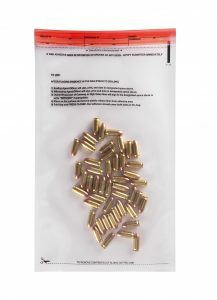 With over 40 years of manufacturing experience ProAmpac is one of largest and most well respected Tamper-Evident security bag manufacturers on the globe. With offices and manufacturing centres over three continents, ProAmpac has a global reach that allows us to be both flexible and responsive to our customers’ needs. 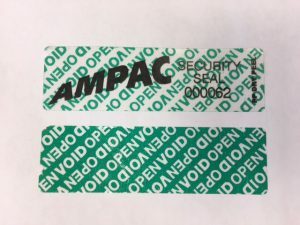 As an ICAO accredited manufacturer, Ampac has been able to specialise in STEBs, Security seals and secure packaging for use in the airline industry. All ProAmpac security bags are produced at our manufacturing centre in the UK guaranteeing quality, cutting edge research and development and unparalleled customer service. ProAmpac’s patented Keepsafe® closures are the most secure in the business. 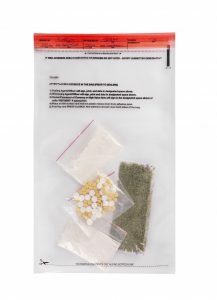 Our closure is used and trusted by some of the world’s largest cash in transit companies as well as law enforcement organisations such as the Drugs Enforcement Agency. The core of ProAmpac is a diverse team of engineers, business professionals and dedicated customer staff who have the unrivalled ability to produce and deliver security bags that get your products to their destination safely and securely one bag at a time. 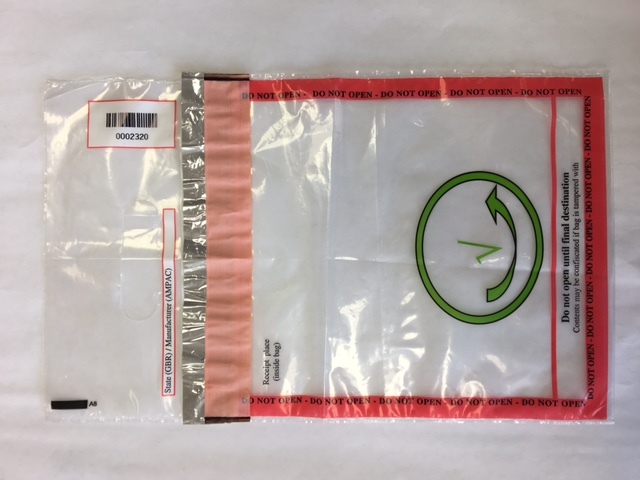 ProAmpac is an ICAO accredited tamper evident bag manufacturer for use in airport retail outlets across the globe. Our expert team of scientists and engineers started designing our STEB bag in 2007 after legislation was introduced restricting passengers wishing to carrying liquids, aerosols and gels (LAGs). 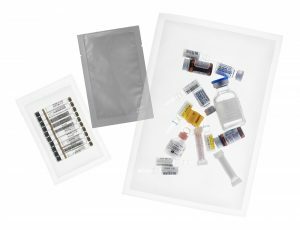 Unlike other ICAO accredited suppliers of STEB bags ProAmpac takes responsibility for manufacturing all of these bags ourselves rather than contracting the work out to cheaper manufacturers. We take Airline security very seriously and realise that the only way to guarantee quality and security is to manufacture in our own premises. Our Tamper evident closures protect against various forms of attack including: heat, moisture, freezing, physical manipulation and solvent. 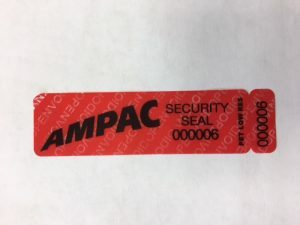 ProAmpac’s extensive experience with designing and manufacturing security bag closures has given us invaluable experience when it comes to security tapes and labels. 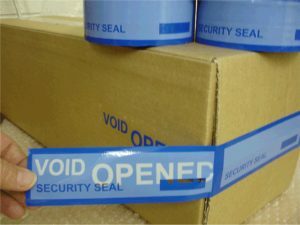 Our security tape delaminates once removed or tampered with, leaving a VOID OPEN message on the surface of the package you are securing. 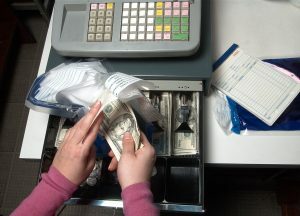 Our tape is easy to use and extremely cost effective; an ideal tamper-evident tape solution to protect high value goods against theft in transit. 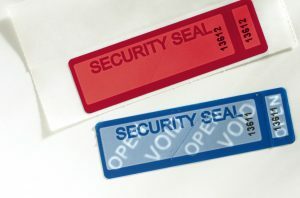 Tamper evident labels are often the security seal choice for use on aircraft doors when planes are parked or in storage. They can also be used on inflight catering carts, inspection panel, duty free packages, boxes and luggage. 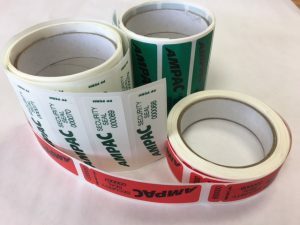 Our labels and tapes are available in a variety of colours and designs and can carry additional security measures for those packages that need it. Custom design void messages are also available upon request. 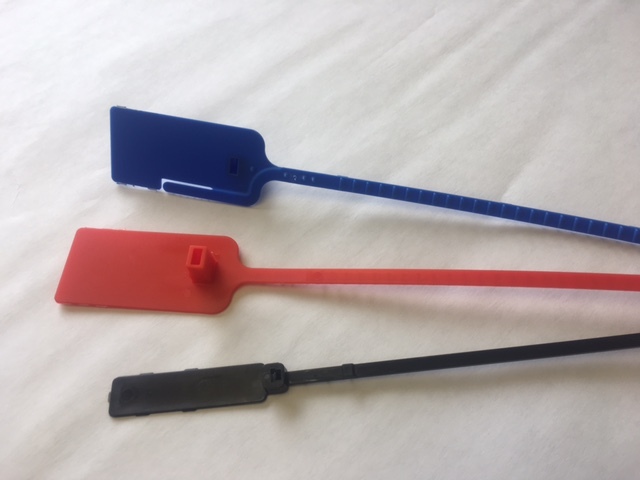 ProAmpac supplies a range of high quality plastic and metal security seals for use in the airline and aviation industries. Our security seals and identification ties provide your business with the confidence that all safety-critical equipment, products and cargo are secured using the best tamper evident security seals in the business. Our range of small plastic padlock and pull through seals provide security for many in-flight operations: whether that be maintaining the security of duty-free trolleys or maintaining the safety of cabinets and storage containers our range of plastic seals will keep your airliner secure. Our heavy-duty metal seals provide high level security for sensitive cargo movements, including trucks, cargo crates and intermodal containers. All of our seals are customisable and can be printed with barcodes, numbers and logos.